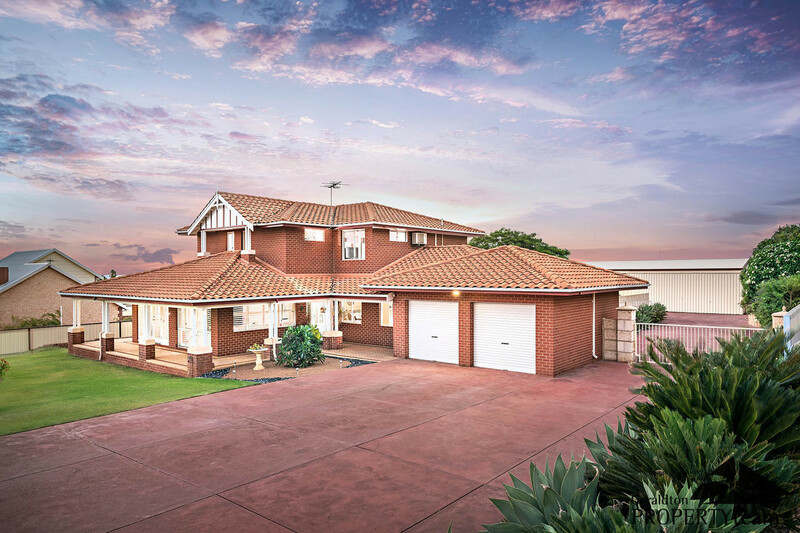 To say this stunning home has it all, is simply the truth. 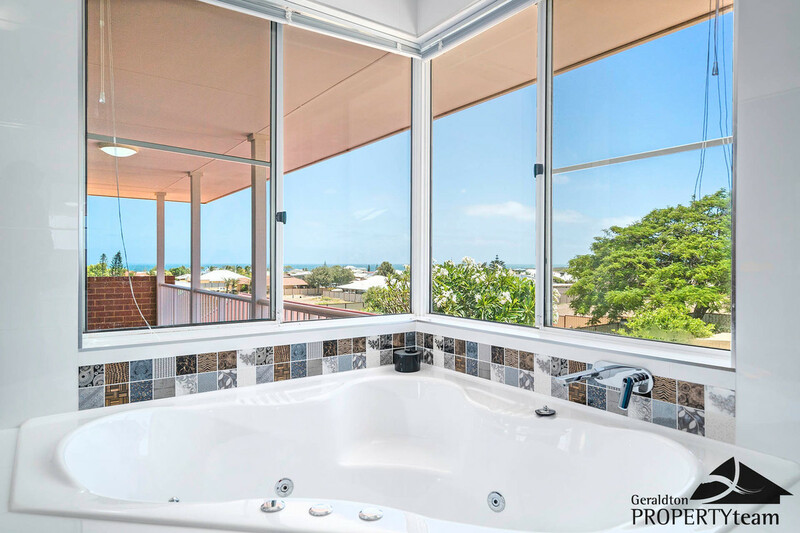 A “stand-out” residence in a beautiful coastal location at Drummond Cove with amazing views looking out to your new playground and beyond. 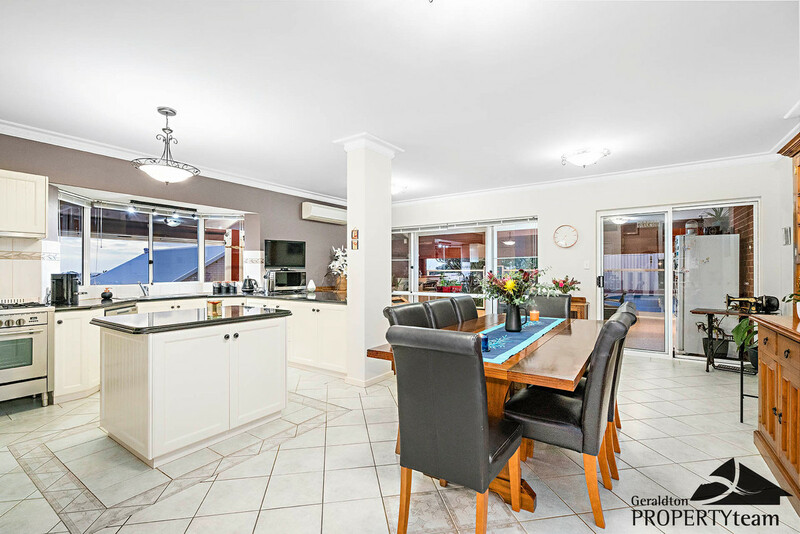 This home has a great feel and is absolutely the perfect fit for family living with its excellent interior domain and location to match. 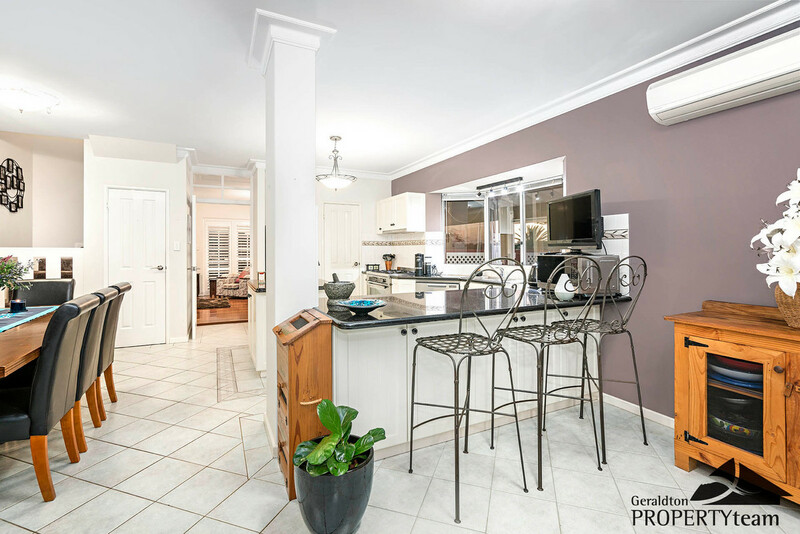 Immaculately presented by the owner of over 20 years, all the hard work and love is clearly visible and now is your opportunity to sit back, create new memories and enjoy all the benefits available right here.
. Family sized refreshed bathroom, laundry and exceptional storage space!
. 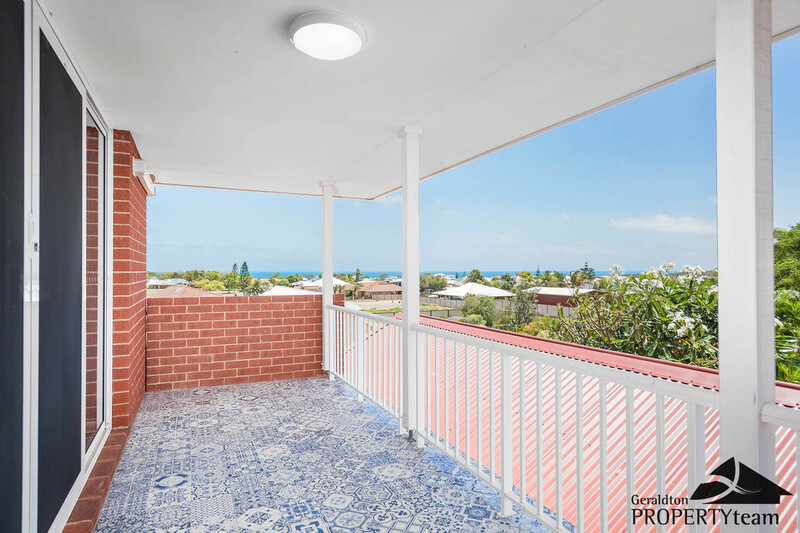 Spacious parents retreat or living area if you prefer – walk out to the balcony and bask in the colours of the evening sunset!
. 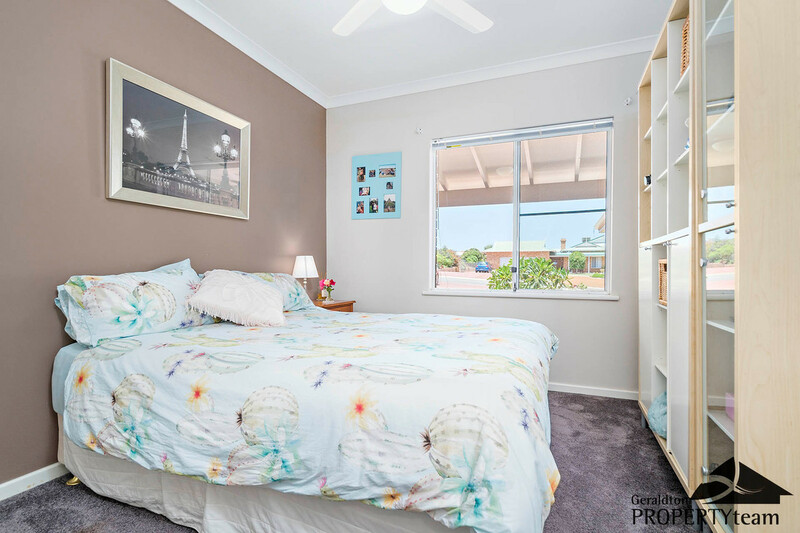 Office/Study or baby’s nursery!
. 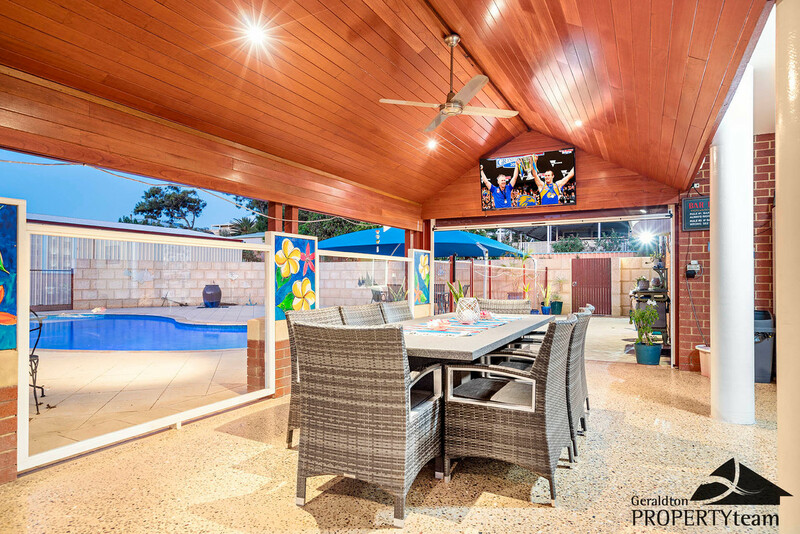 Entertainers paradise with fantastic outdoor alfresco living and an outlook to impress your guests – new shade blinds complete the package for use all year round!
. 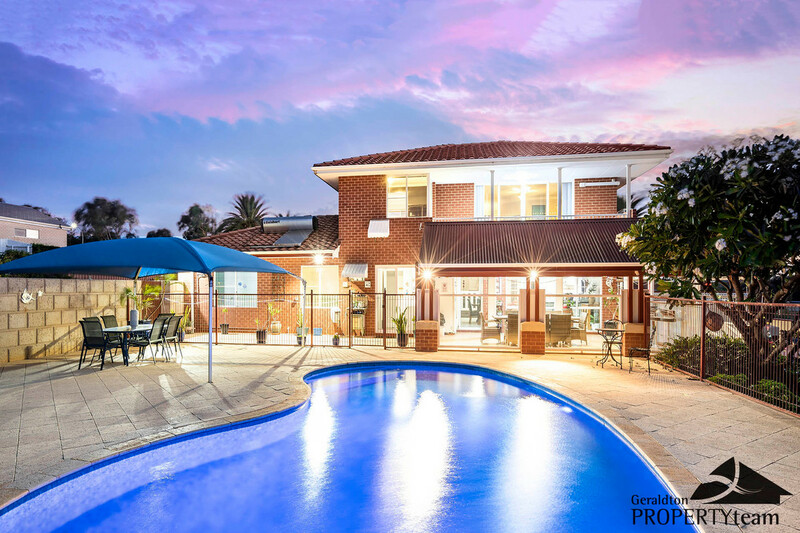 Sparkling below ground pool – your oasis to escape the Summer heat – in view from inside for your peace of mind.
. Extensive paving and concrete saves time spent on upkeep. 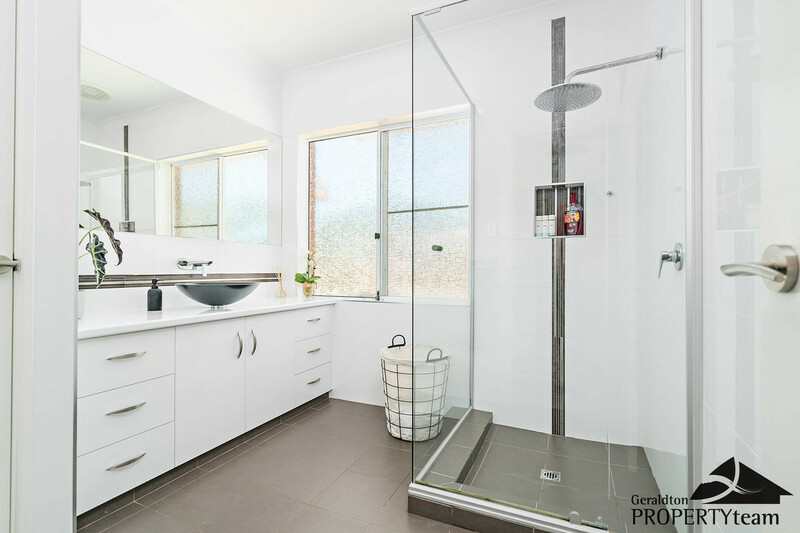 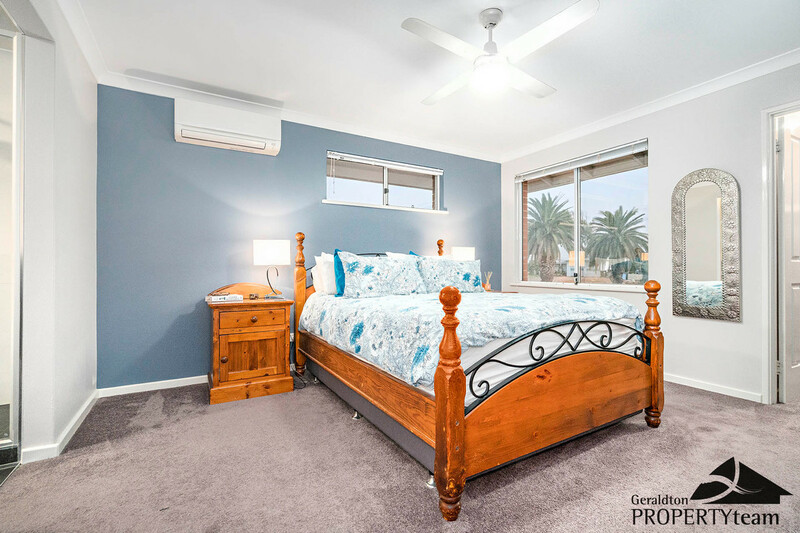 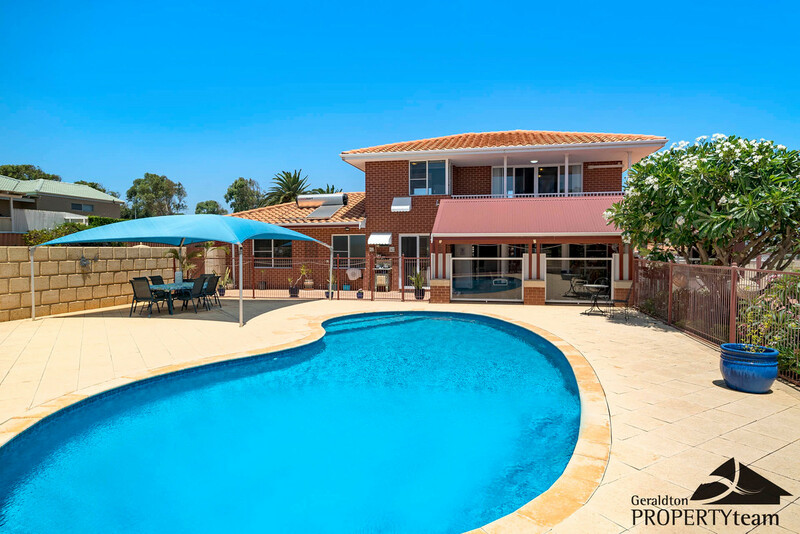 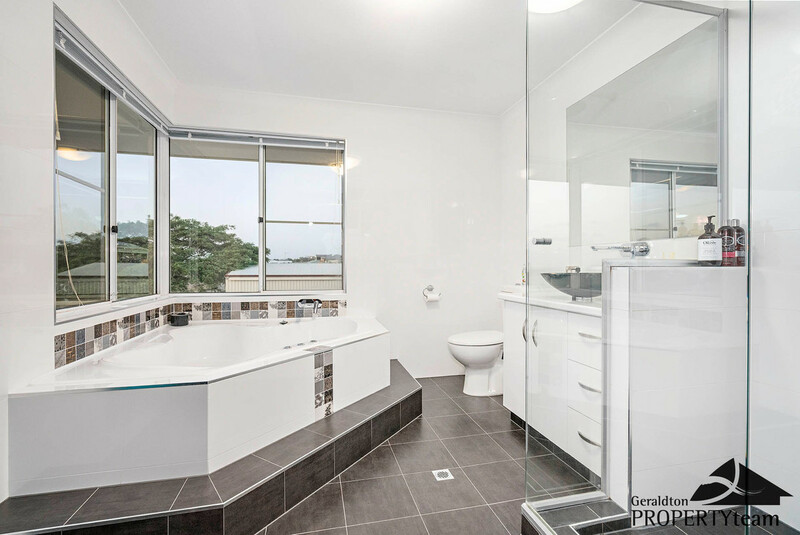 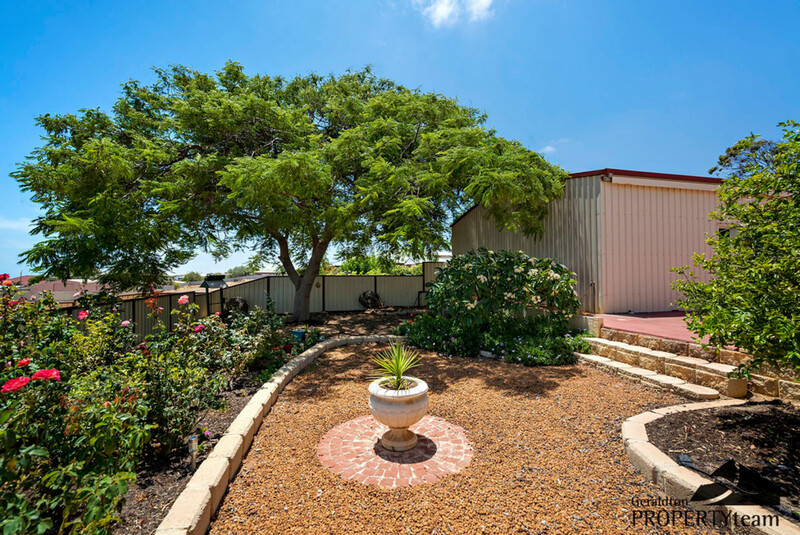 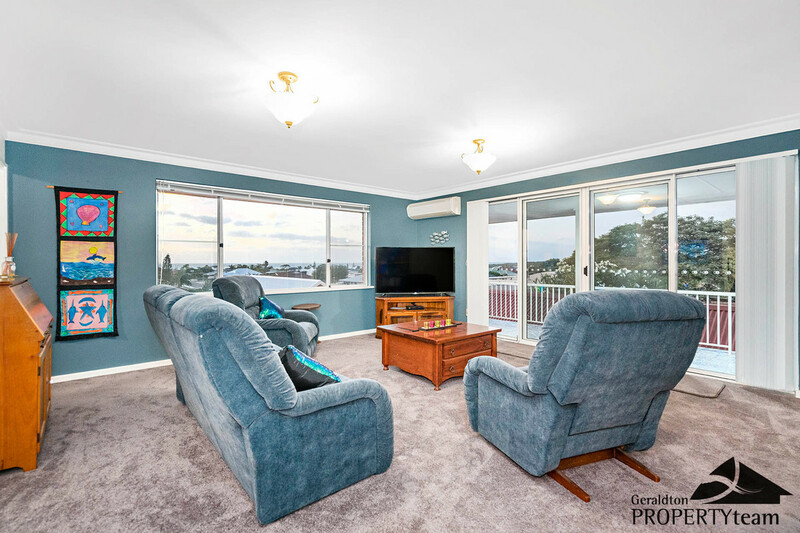 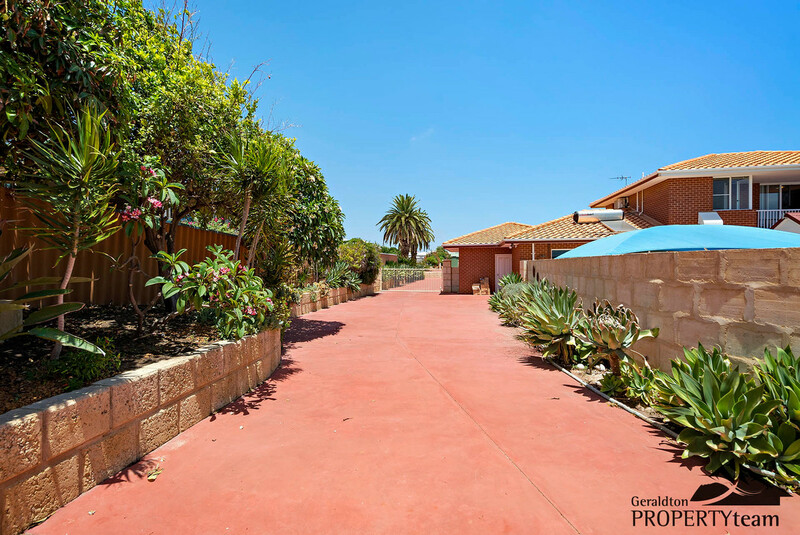 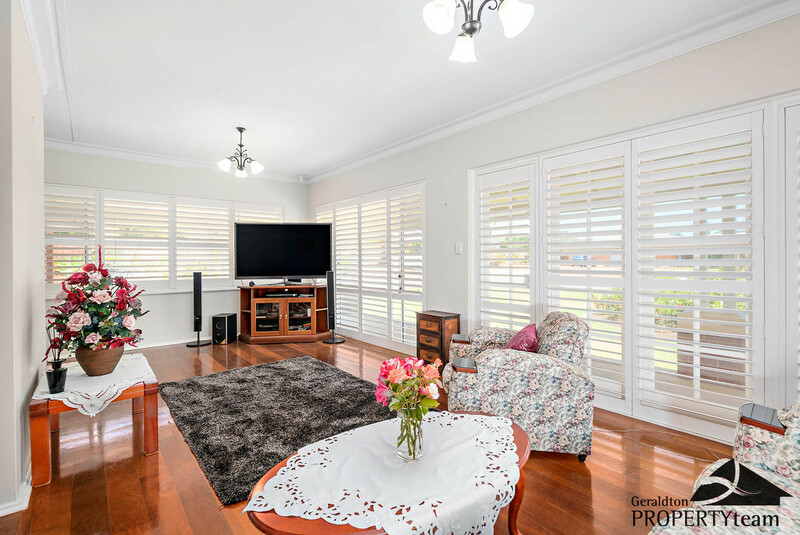 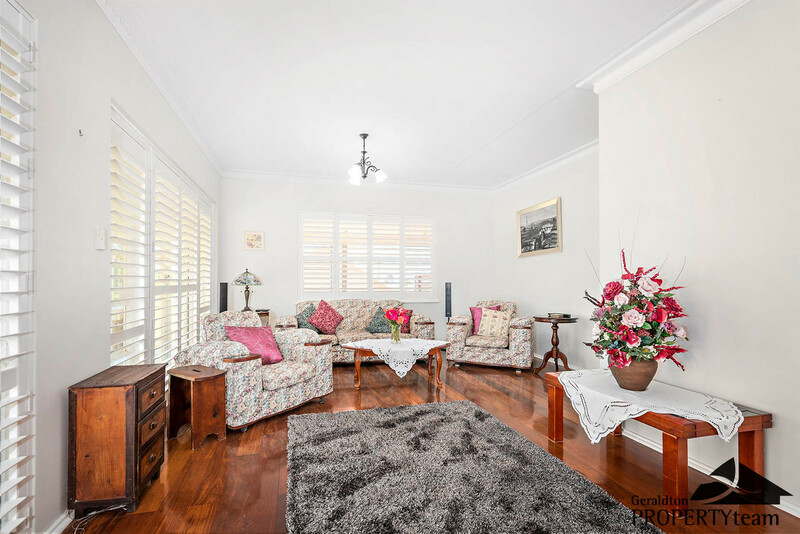 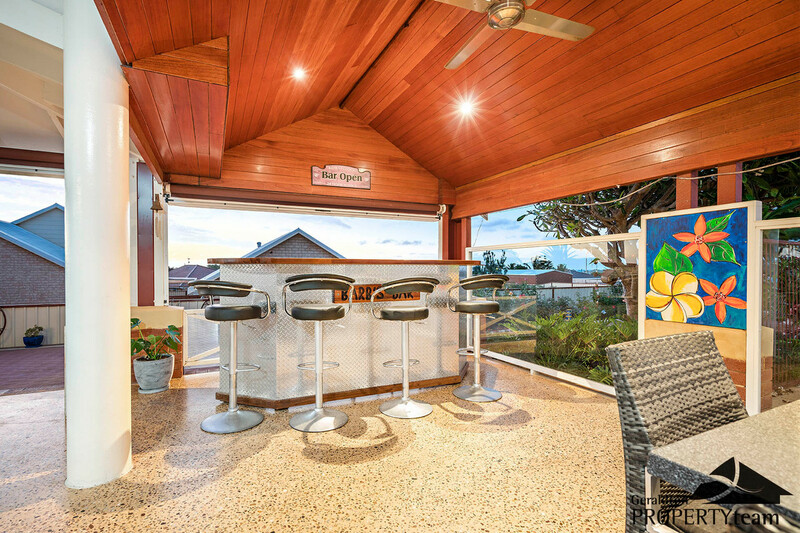 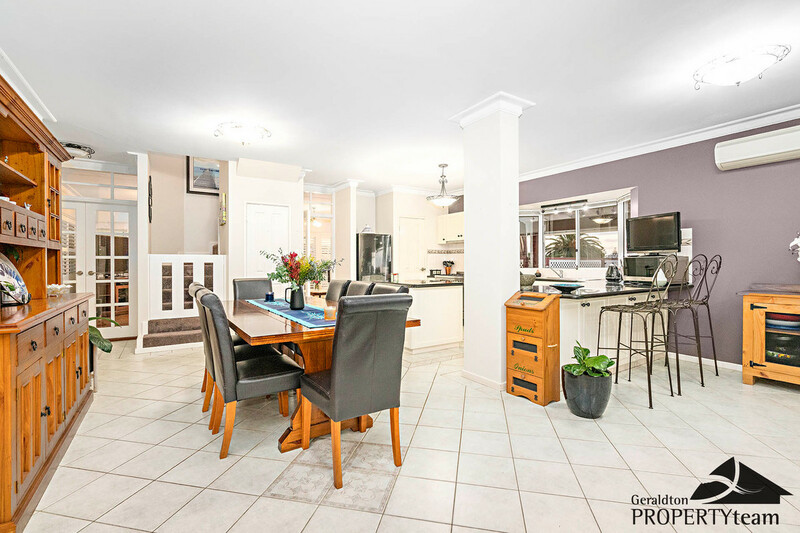 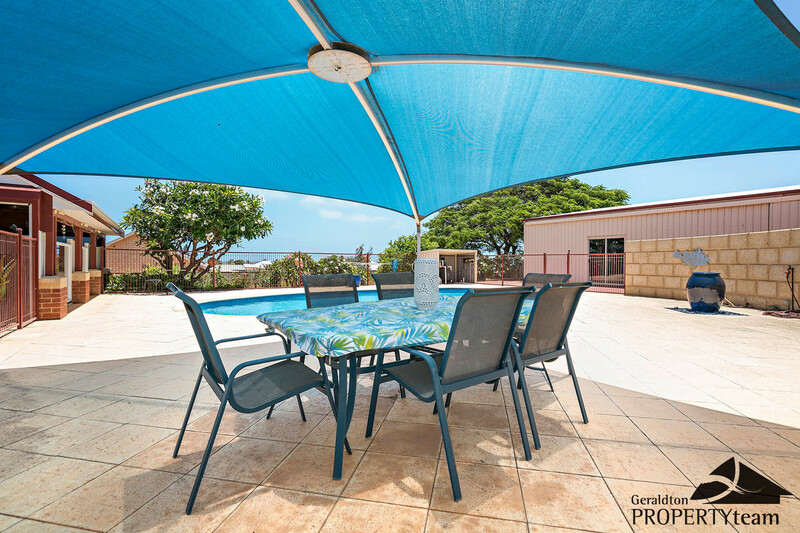 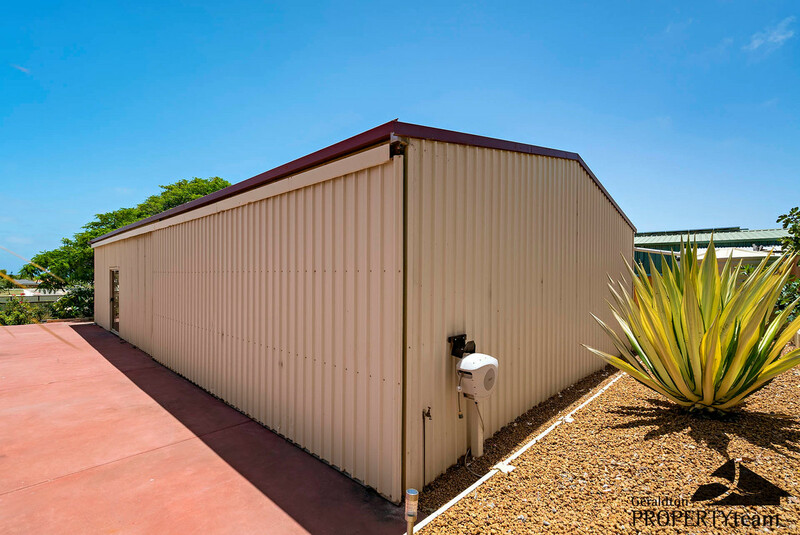 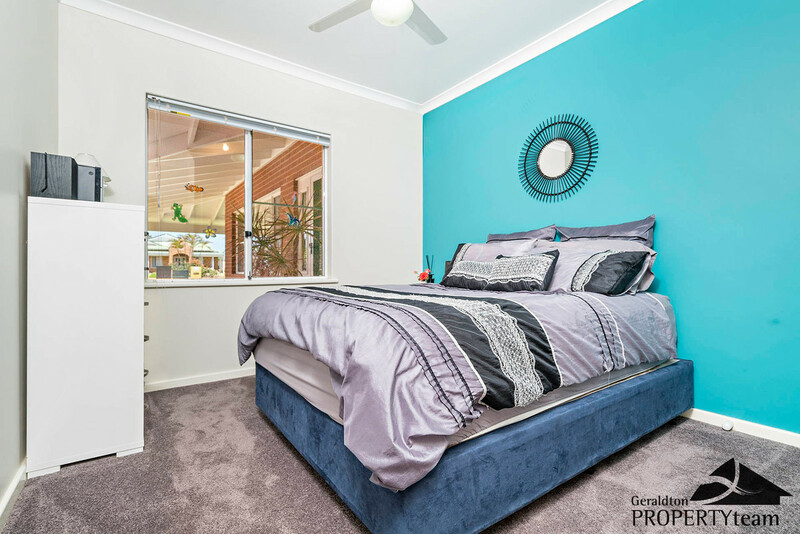 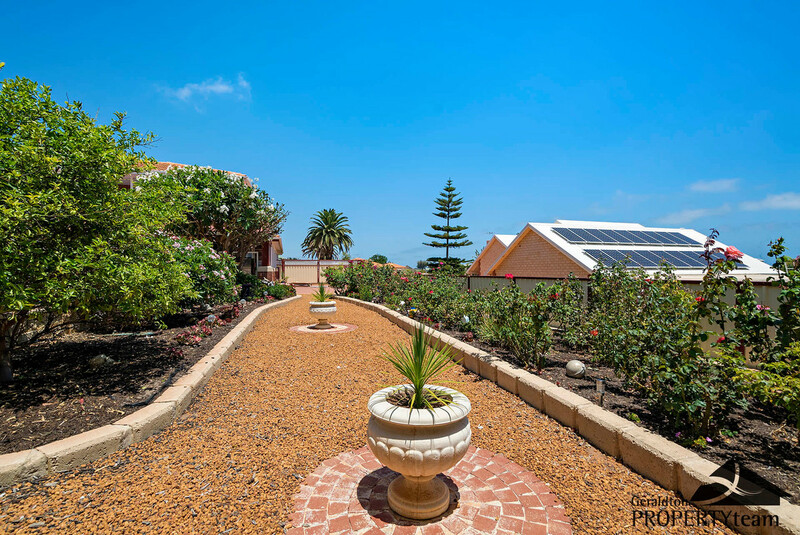 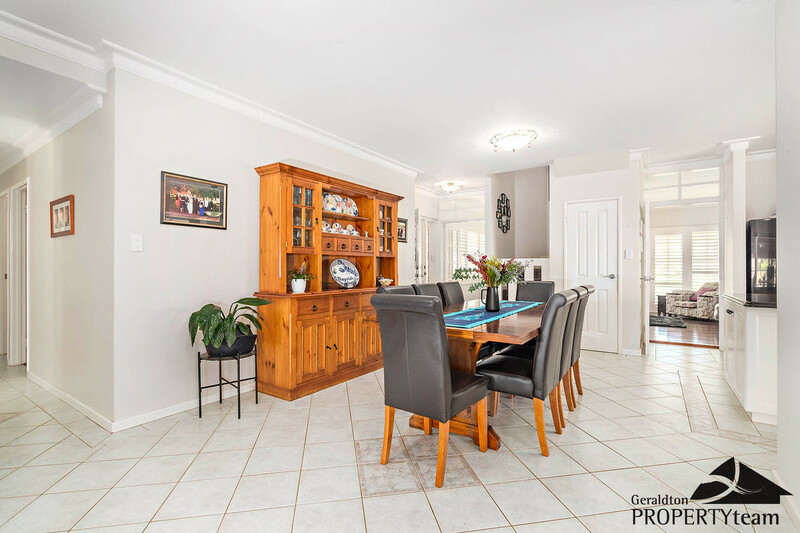 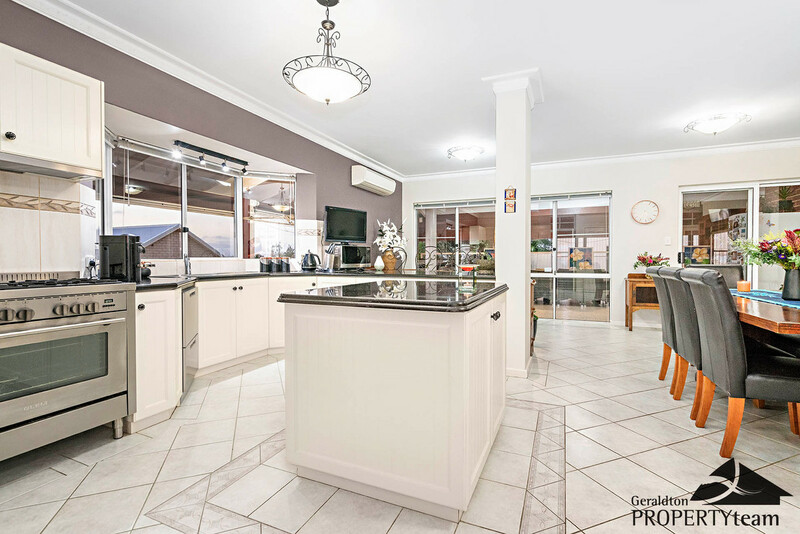 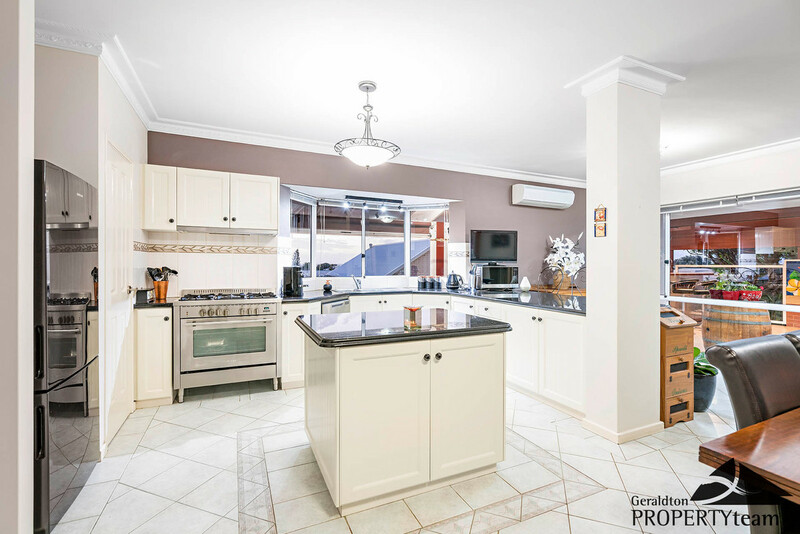 Appreciation comes from experience and viewing this wonderful home will not leave you wanting – to view or for additional information contact exclusive sales consultant Marissa Adam on 0419 090 222 or email Marissa@geraldtonpropertyteam.com.au.